Social media is the perfect channel for pharmaceutical companies to educate, market listen and connect with customers, patients and physicians. 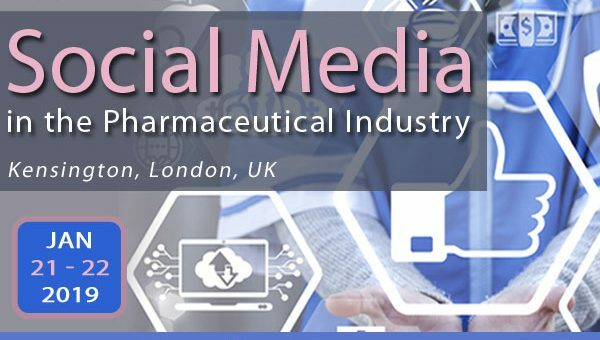 How the pharmaceutical industry utilize social media is particularly complex as regulators such as the MHRA have not yet written the rules about how pharmaceuticals are allowed to engage with potential customers and patients. For an in depth understanding of social istening in pharma, don’t miss the session from Jackie Cuyvers, CEO, Convospheres to learn how to take your key business questions into congress listening to gain actionable insight. Alan will also be hosting a hands on, interactive workshop on the 23rd January. For those looking to attend, there is currently a £400 early-bird saving, only valid online. Register today!